Dr. Peter Littrup, a professor of Radiology, Urology and Radiation Oncology Clinical Operations at the Barbara Ann Karmanos Cancer Institute in Detroit, wrote in an email to the Cancer Beat. 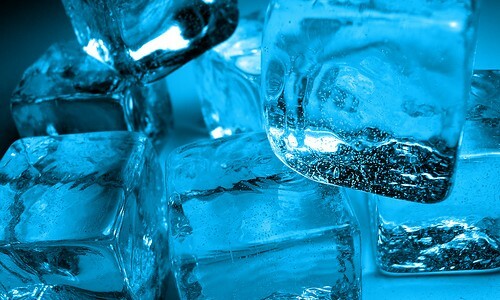 In treating cancer with cryotherapy (also known as cryosurgery), doctors will use one of several imaging techniques, most often ultrasound or CT scans, to direct a frosty flow of liquid nitrogen or argon gas at the tumor. Dr. Littrup describes it as “an image-guided local treatment that destroys the cancer in place by 'sculpting' lethal cold (temperatures more than thirty degrees below zero) to cover the whole tumor.” Compared to traditional surgery, Littrup says, cryotherapy is minimally invasive and has a faster recovery time. While cryotherapy has shown promise as a curative treatment, another benefit, according to Littrup, is its ability to “preserve quality of life by providing good local treatment with minimal side effects, especially with advanced stages of cancer where any additional treatment is unlikely to provide a systemic cure.” No matter the stage of cancer, researchers say cryotherapy offers a number of benefits over traditional surgery. It is an outpatient procedure, so patients can expect to be back to normal activity within two or three days. It is performed under a local anesthetic, which significantly reduces the risks associated with surgery under general anesthesia. And, since doctors deliver the treatment using needles, making only small incisions in the skin, patients experience less discomfort and scarring. For breast cancer patients, cryotherapy offers another benefit: a higher chance that doctors will be able to preserve the breast. Though new research is positive, not all doctors are recommending cryosurgery as an alternative treatment yet. Dr. Brian Stainken, a radiology specialist, is hopeful that further research may improve cancer treatment, but he emphasizes the need to “keep a close watch on it for the next two years.” Indeed, “caution” seems to be cryosurgery’s byword in medical circles. The National Cancer Institute says the side effects are less severe than those associated with traditional surgery and that recovery time is minimal, but it says “additional studies are needed to determine the effectiveness of cryosurgery in controlling cancer and improving survival.” In addition to concerns about long-term efficacy, patients seeking cryotherapy may run into other roadblocks.